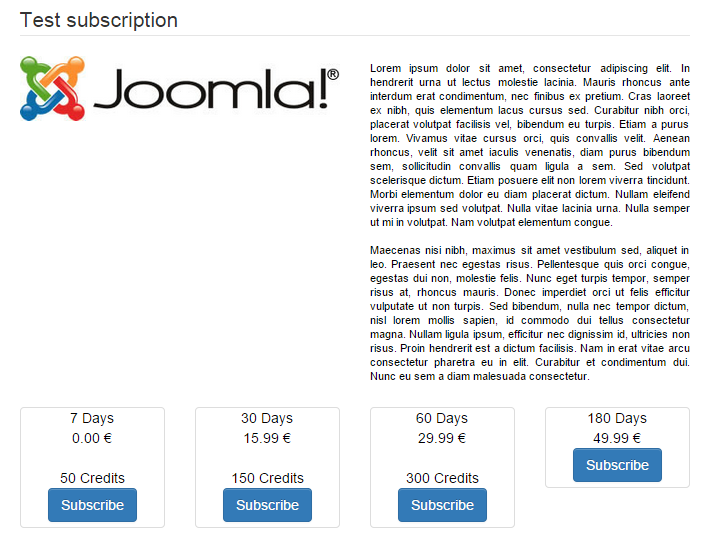 Also Like in any other Joomla! component, you will be able to set permissions. Note: The tax and currency can be added in the Invoicing component. 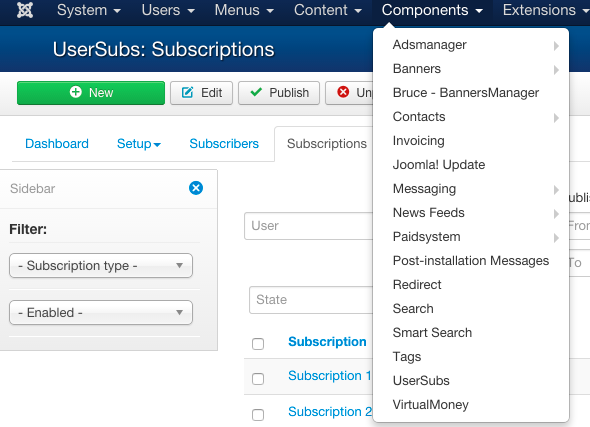 Go to "components" > "UserSubs"
Open the submenu "Setup" and click on "Subscription Types", then click on "New". 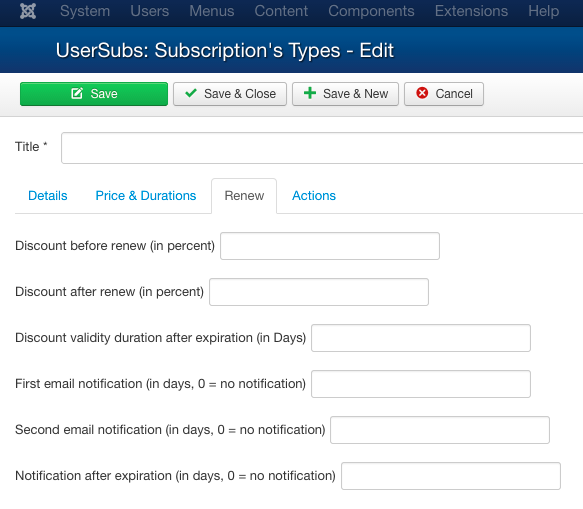 You can specify multiple durations and prices for one type of subscription. You can specify the renew discount and the automatic notification mails here. 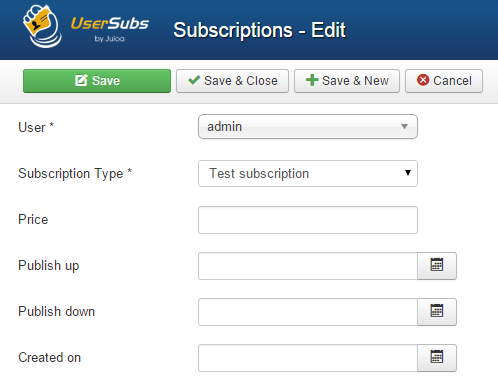 Each enabled usersubs plugins are displayed here, you can choose what they will do at the activation and expiration of a subscription. On the "Subscriptions" page, click on "NEW"
That's ALL for this first example. 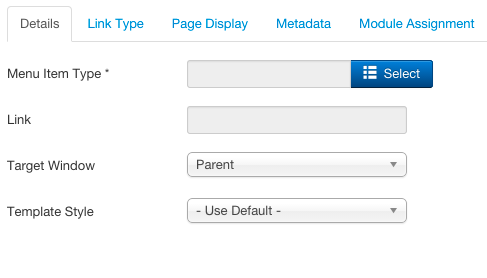 You will get full description of the options in the General Documentation Under "UserSubs"
Name it and select a menu item type and click on "UserSubs"
Depending of your choice of menu item type when creating the new menu item, will now see one of those pages with your information on it. As a user, you can login and choose which type of subscriptions you would like to buy. 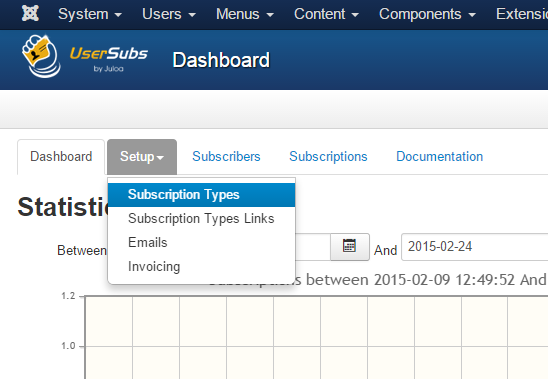 You'll then have the list of the subscription types, and by clicking on a line, you can see the invoice related to it. The invoice permits the user to apply a coupon code, the payment can be done by using any invoicing payment plugins enabled. 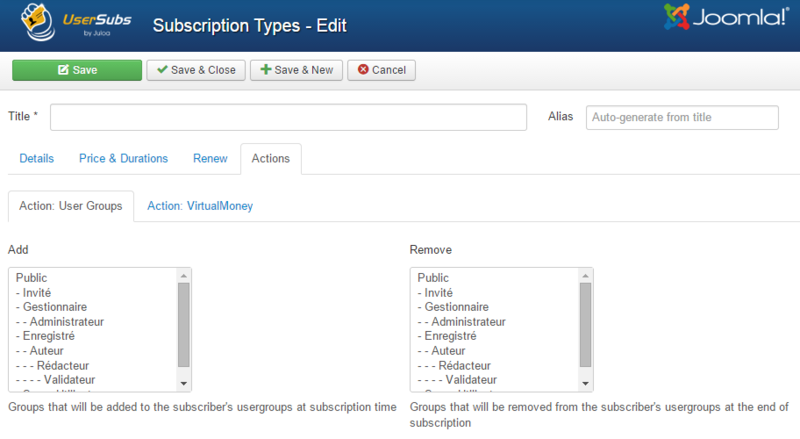 This page permits the user to see the status of her different subscriptions and renew existing ones. 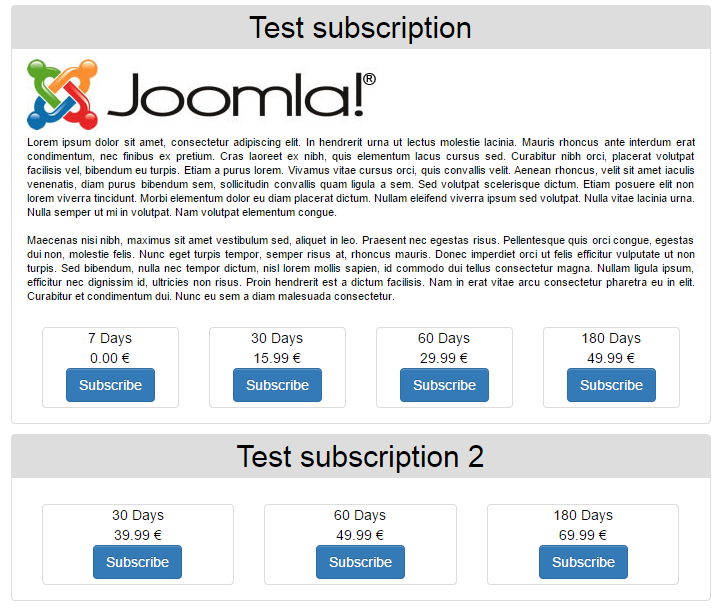 This page is similar to the page "Subscription Types". The only one difference is that you can choose in the backend which one will be displayed here, so only one type (the one you've choosen) is displayed here.